Hydration is so important for so many reasons. Being well hydrated allows the body to detoxify, it provides an avenue for moving nutrients throughout the body, and lubricates our joints and organs. Sometimes plain water can get a little boring. 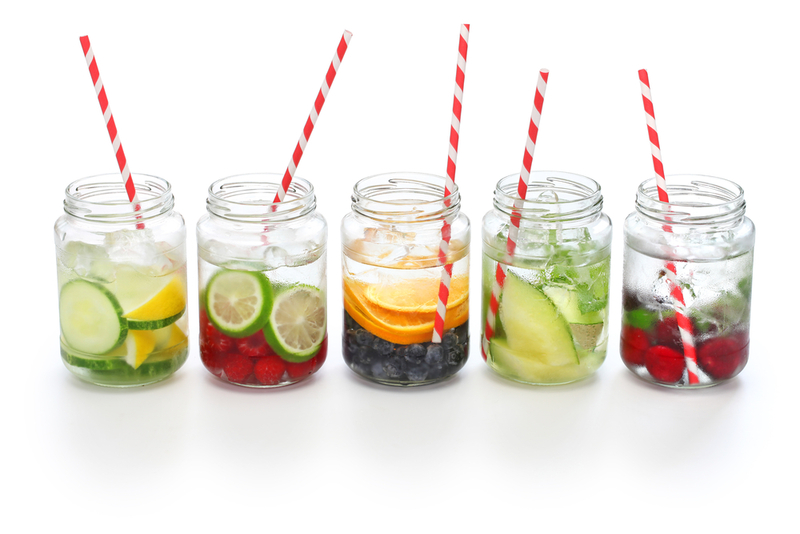 These fruit infused water combinations offer a pleasant hint of flavor – just enough to keep it interesting. While I’ve listed 3 here, the options are unliimited. Wash all fruit being used, specifically scrubbing the citrus fruit skin. Place the fruit or herbs in the bottom of a quart sized mason jar. Muddle or mash them with a spoon. Fill the jar with water or sparkling water. Enjoy immediately, or refrigerate overnight for maximum deliciousness. What are your favorite infused water combinations?